A Christmas Carol, Noel Coward Theatre London. Jim Broadbent stars. 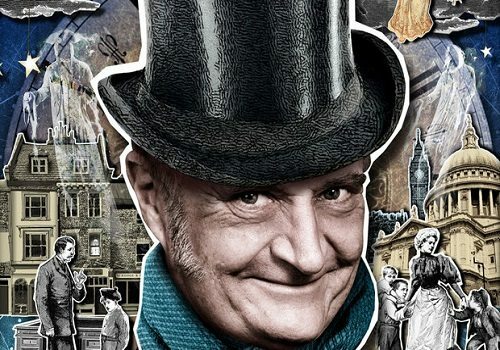 British film and theatre legend, Jim Broadbent, takes on the role of Ebenezer Scrooge in Charles Dickens’ festive classic that celebrates the power of Christmas spirit over greed and selfishness. Based on Dickens’ novella A Christmas Carol, Phelim McDermott and Patrick Barlow’s (The 39 Steps) new adaptation proves that the sentiments of the original are as pertinent as ever. Set on a bitter Christmas Eve in London, Scrooge does everything in his power to dampen the cheer of his employees and those around him. But when he is visited by the ghost of his ex-business partner and fellow money-saver, Jacob Marley, Scrooge’s world is turned upside down. Over the course of a single evening, the Ghosts of Christmases Past, Present and Future take him on a journey to see how his actions touch those around him. As Scooge’s icy heart starts to melt, we begin see the true power of Christmas spirit. This adaptation breathes life into some of Dickens’ best-loved characters, including Bob Crachit and Tiny Tim. Olivier award-winning Artistic Director of Improbable Theatre Company, Phelim McDermott, directs what will be the latest in a long history of works inspired by Dickens’ novella; from Frank Capra’s It’s a Wonderful Life (1946) to the much-loved The Muppets Christmas Carol (1992). A Christmas Carol promises to be spectacular with the strong creative team including many West End favourites. McDermott’s previous successes with Improbable (Beauty and the Beast, The Perfect American) have a unique style that embraces curiosity and mischievousness. Olivier award-winning Director of Movement, Toby Sedgwick, will undoubtedly provide plenty of visual spectacle as he has in the phenomenal War Horse. 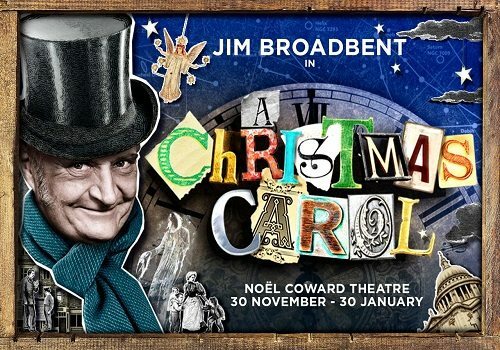 Jim Broadbent returns to the London stage as Scrooge following an illustrious film career that includes Iris (2001), for which he won an Academy Award, Moulin Rouge! (2001) and the Harry Potter films. A Christmas Carol and The Mackintosh Foundation will give 50p from every ticket to the St-Martin-In-The-Fields Christmas Appeal, which provides homeless people with shelter, food and guidance.